Ickybod Clay is one of the weird characters from the ClayFighter games released in the nineties. He made his debut in the original ClayFighter in 1993 and returned in the third part ClayFighter 63 1/2 for the Nintendo 64. 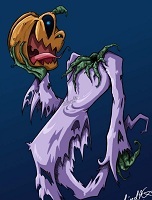 He is a headless ghost with a pumpkinhead he uses to scare and attack people. 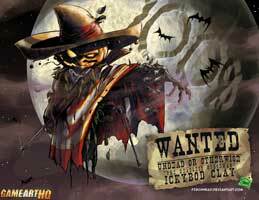 Ickybod is an awesome design which makes me want to organize a ClayFighter art contest or tribute at someday.